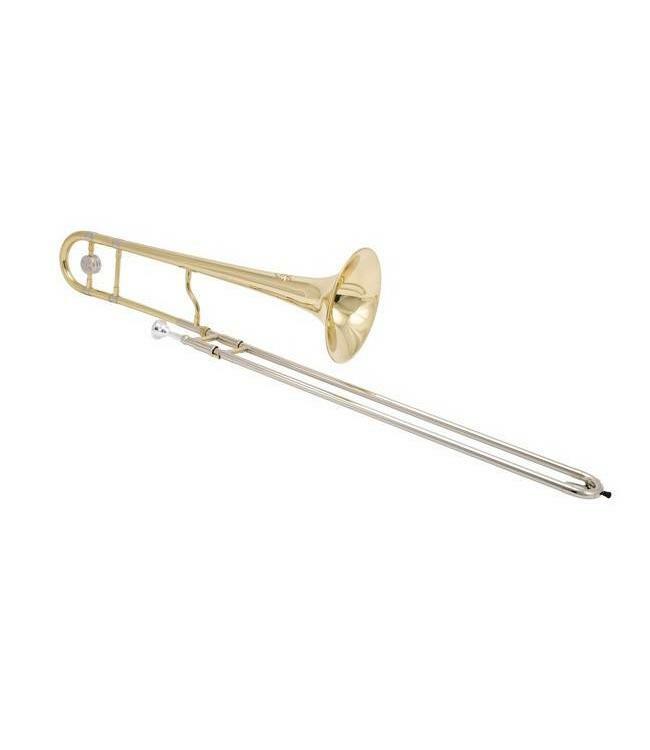 The ST30 is Schilke’s small bore tenor trombone. It incorporates a .500 bore with a choice in both bell and hand slide material. Bells are 8” in diameter and offered in either hand-hammered yellow or rose brass. The yellow brass bell affords the player a brilliant sound across the registers and is perfect for either lead or section playing, whereas the rose brass bell presents a warm, singing sound, perfect for solos and ballads. Hand slides are available in either a yellow brass or an all nickel-silver outer slide. The yellow brass hand slide yields a slightly warmer sound with more rounded articulations, while the nickel hand slide creates a brilliant sound with a more immediate articulated response. The ST30 comes three interchangeable leadpipes, a removable counterweight.